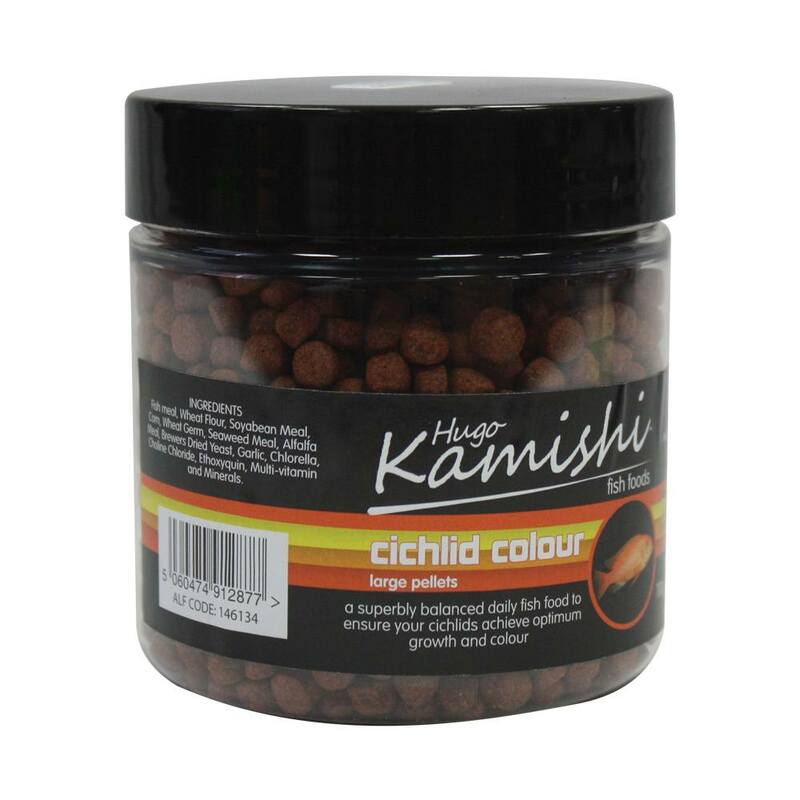 Hugo Kamishi Freeze Dried River Shrimp is a high protein dietary supplement suitable for all fish and turtles. 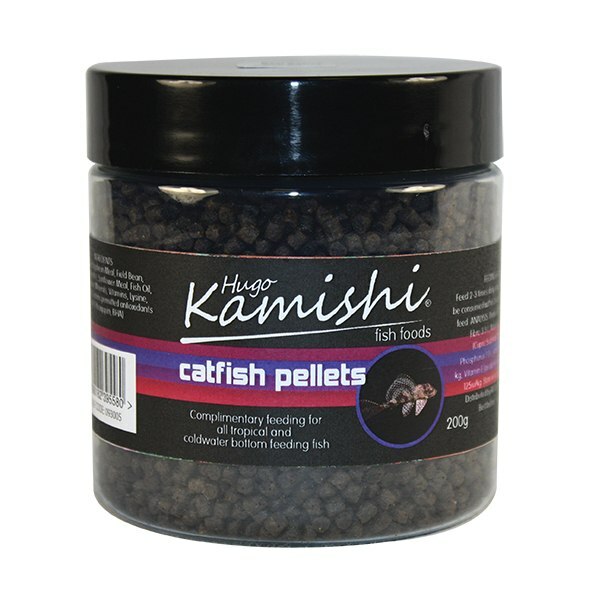 Hugo Kamishi Freeze Dried River Shrimp can be added to the dietary regimen of your fish or turtle. It may also be given as an extra treat. 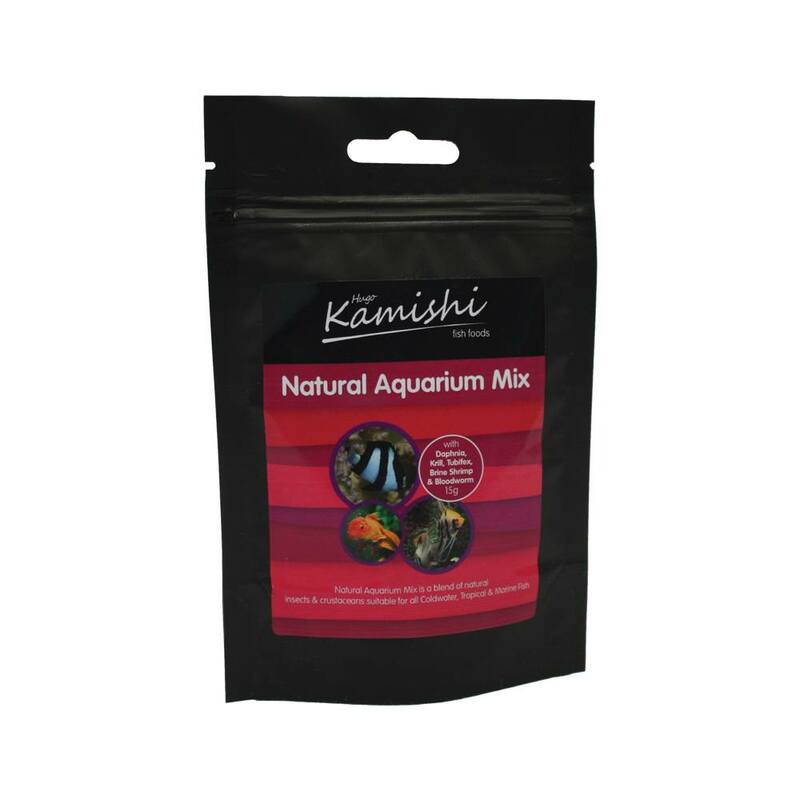 When using Hugo Kamishi Freeze Dried River Shrimp as part of the regular dietary regime of your fish or turtle, you should only provide as much as can be consumed within 5 minutes. 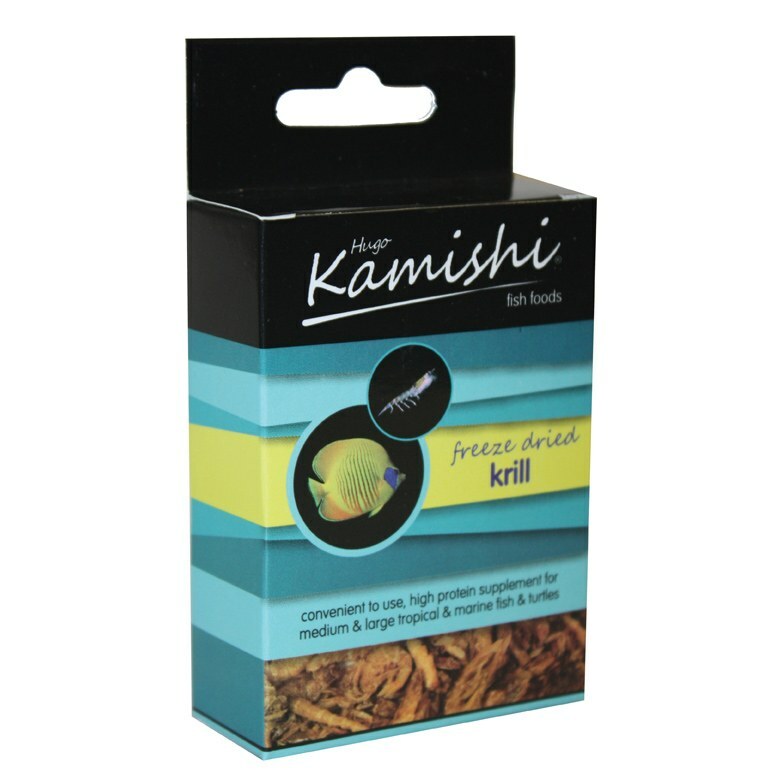 You should take care to remove any remaining after this time with a net. 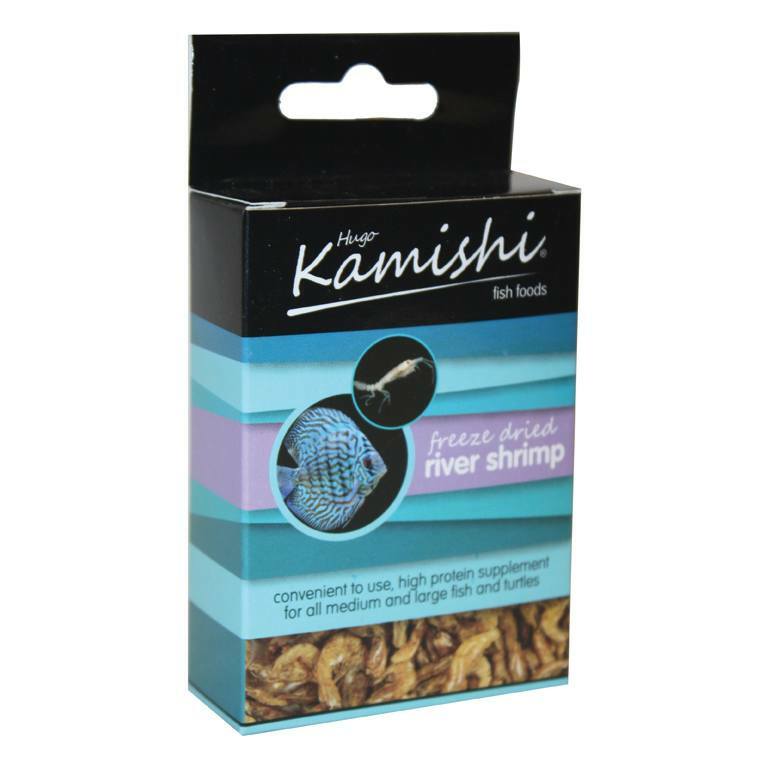 If giving Hugo Kamishi Freeze Dried River Shrimp as an extra treat, it is advised to only add a tiny amount (no more than a slight pinch). 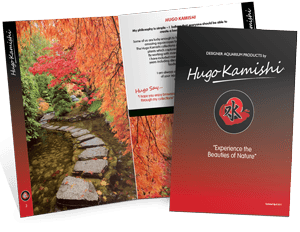 The life cycle of river shrimp (Gammarus Pulex) is quite intricate. The male will clutch the female before determining which one is likely to yield a lot of eggs. The male will then carry his chosen mate for a number of weeks before her skin is shed, enabling the male to mate with her. Afterwards, he releases her, and she will carry the developing young in what is called a “brooding pouch”. 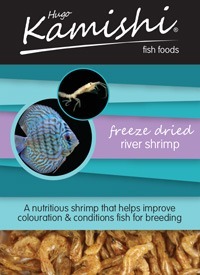 After around 28 days, the young shrimps are ready to venture out of the brood pouch, and a few months later are able to breed and find a mate for themselves. As the female river shrimp can produce up to 50 young each month, it does not take very long at all for a large population to emerge.